We enjoyed a pleasant spring day walk yesterday along the Galloping Goose Trail and through Banfield Park to Craigflower Road. There is a small bank of shops at the corner of Raynor which includes an old-fashioned barber shop, bakery, children’s clothing shop, hair dresser, hemp clothing store and cafe. 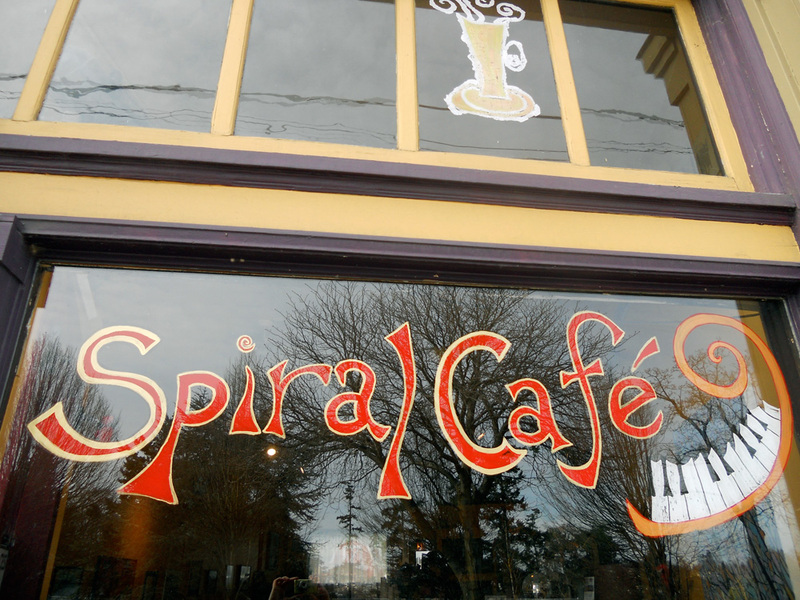 Our main destination was The Spiral Cafe to see paintings by Philip Willey. 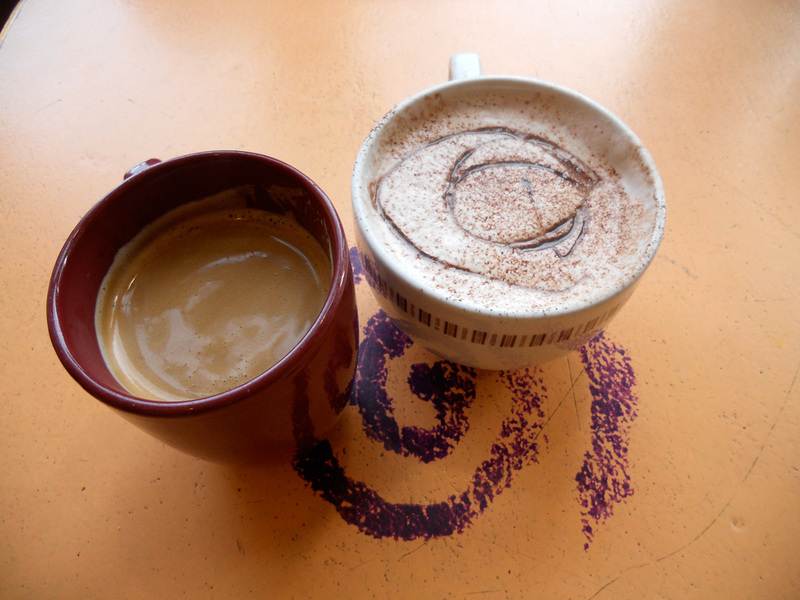 The Spiral hosts a lot of live music and makes great coffee. We also picked up some yummy bread and other treats at Fry’s Red Wheat Bread. The frangipani in their almond croissant was amazing. Must have hot chocolate everywhere I go! 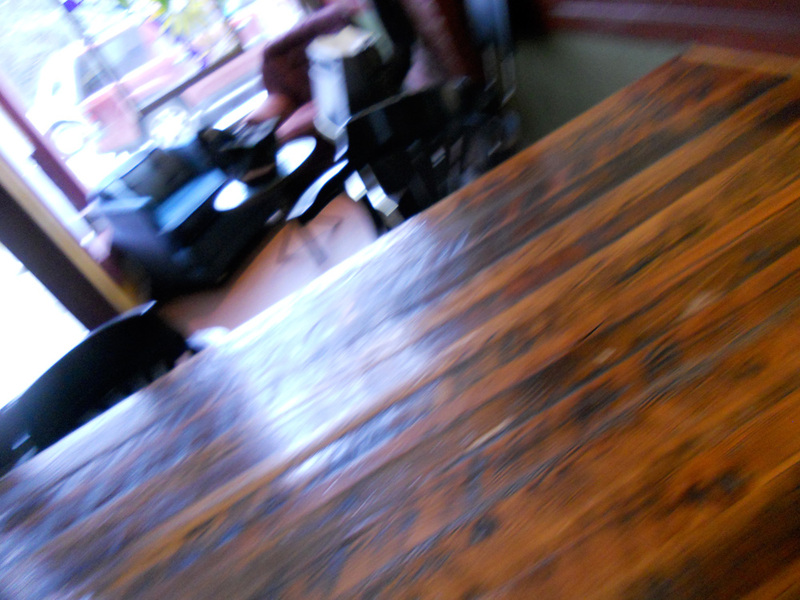 This one was great and GJ says his coffee was excellent. An accidental shot in the Spiral; sort of cool. 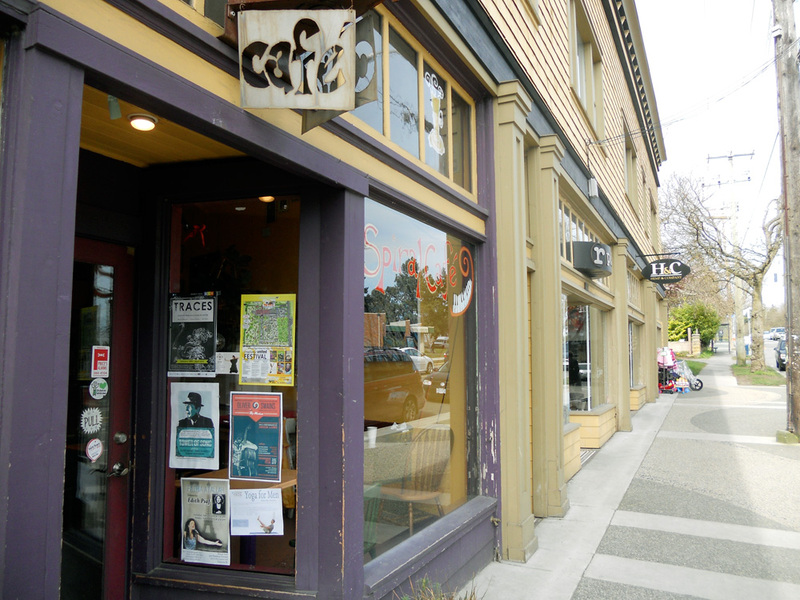 The Spiral Cafe: a great venue for local music and art. A great group of local businesses. 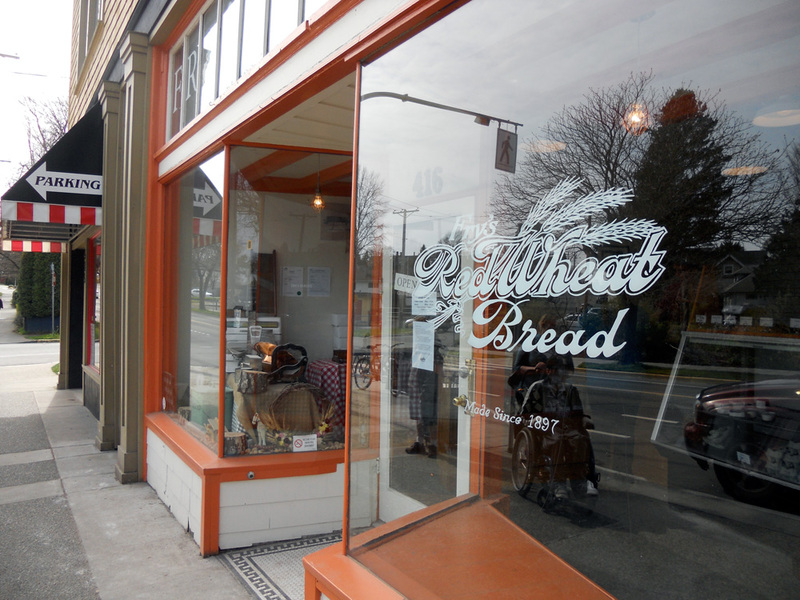 One of the newer artisan bakeries in Victoria. 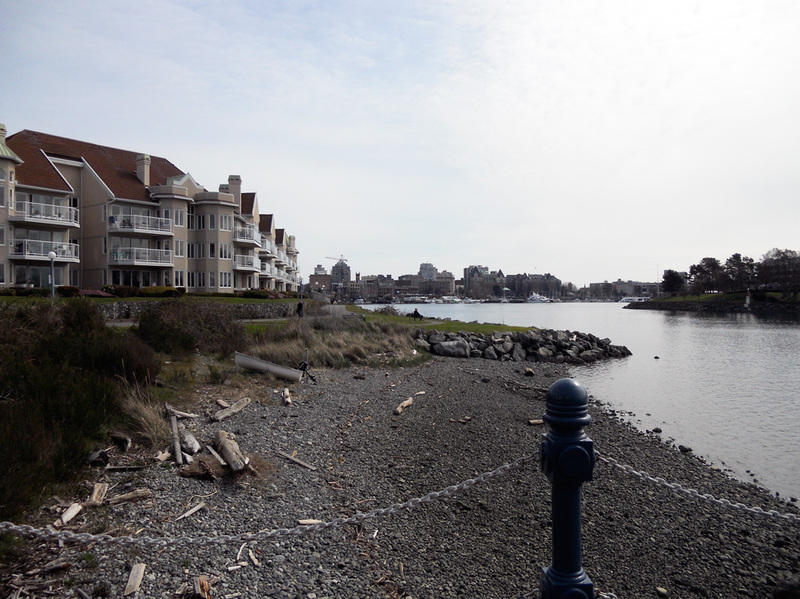 We walked home along the Westsong Walkway, enjoying the beautiful view of the Inner Harbour.